Not sure what time this will end up getting posted on the blog, but it's about 8:30 a.m. as I'm writing this. This morning's been one of those so far where I get up nice and early, but I'm not really awake enough to accomplish anything. I was in need of a pick-me-up and this song was the perfect one. Of course, my morning cup of coffee helped too, but I gotta give credit to Rustie for making me want to rave at this early hour. His new song "Slasherr", the b-side of his upcoming single, brings the energy in a big way. 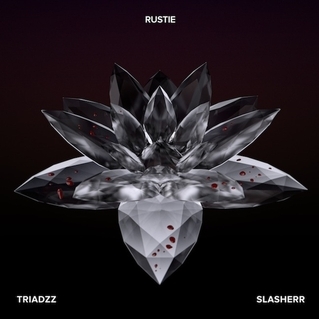 I've not heard a lot of Rustie's stuff, but I get the idea that big, BIG dance tunes are his thing. This song isn't just big, it's colossal. Tell you what, if you can sit completely still while listening to this, I'll give you $5. No, I won't. I just wanted to illustrate the point that this tune will make you want to jump up and down like a crazy mofo on molly. Listen below. Have fun.